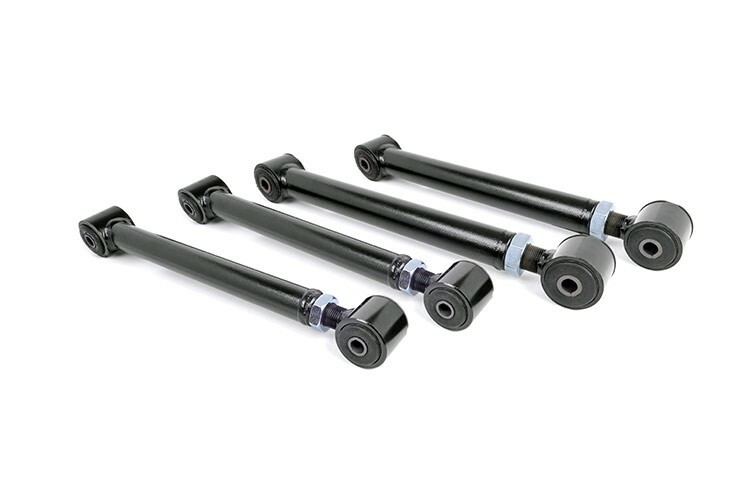 Upgrade your stock control arms with Rough Country's durable Dodge 03-07 2500/3500 Adjustable Control Arms. These adjustable arms ship with Clevite rubber bushing pre-pressed in, to help reduce vibration dampening. Recommended ONLY for models with 2.5in - 6in suspension lift kits.